You don't have to be as long in the tooth as we Boomers are to realize that most everybody relates in a big way to the stars of their own generation. That's why it comes as a bit of a shock to realize that we have reached a point in the evolution of the Baby Boomer generation where Dustin Hoffman, Richard Dreyfuss, and Henry Winkler are playing Jewish grandfathers. Think of it: the young shark hunter from Jaws, The Graduate, and Fonzie himself schlepping around in plaid pants complaining about constipation, why grandkids never call, and how much they love the specials at IHOP if you just can get there before 5:30. 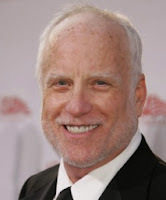 Richard Dreyfuss always radiated a youthful exuberance on screen from the days he actually was young in American Graffiti and into his many more mature roles. He began to look old for his age even then, but there was always that brash self-confidence that seemed young and vital no matter how much hair he lost or how gray the rest of it became. Few of his roles better captured the spirit of Richard Dreyfuss on screen than Close Encounters of the Third Kind and Jaws, in which he battled a man-eating beast with teeth a foot long and sharp as razors. Nowadays Richard Dreyfuss is more likely to be seen in a role with teeth in a glass rather than in the mouth of a marauding monster. Nobody was bigger on television in the 1970's than Arthur Fonzarelli except maybe your Aunt Tessie when she fell on top of the Zenith and crushed the rabbit ears. 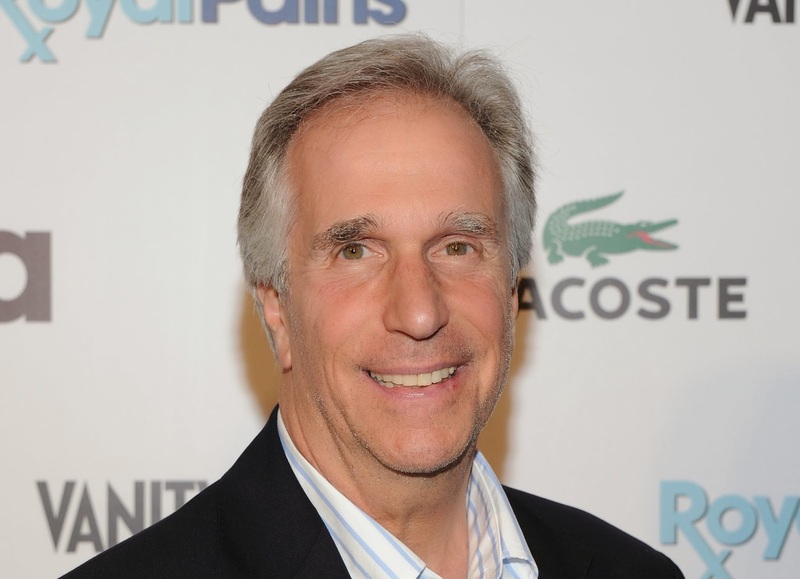 Henry Winkler played the Fonz as the bad boy with the not-so-hidden heart of gold who won over the hearts of young and old just as he won over Happy Days to become its unlikely star. Quintessential Fonzie places him standing at the mirror all set to comb his greasy mane and suddenly flinging his arms aside realizing that one cannot top perfection. Nowadays if Henry Winkler - who has already starred in his own reverse mortgage commercial - were to fling his arms aside at a mirror, the only perfection he'd likely achieve would be a perfect dislocation of his shoulder. You'd have to have been an older Boomer in the late 1960's to understand how The Graduate was the youth movie of 1967. This was a pre-long hair era depiction of youthful alienation from American culture and values that struck we pre-long hairs as being just where we were head-wise (pre-long hair and otherwise) back in the day. Dustin Hoffman expertly played the role as an befuddled but appealing everykid buffeted between uncertain messages from a well-meaning neighbor's "Plastics" to a not-so-well-meaning neighbor's "Gymnastics?" 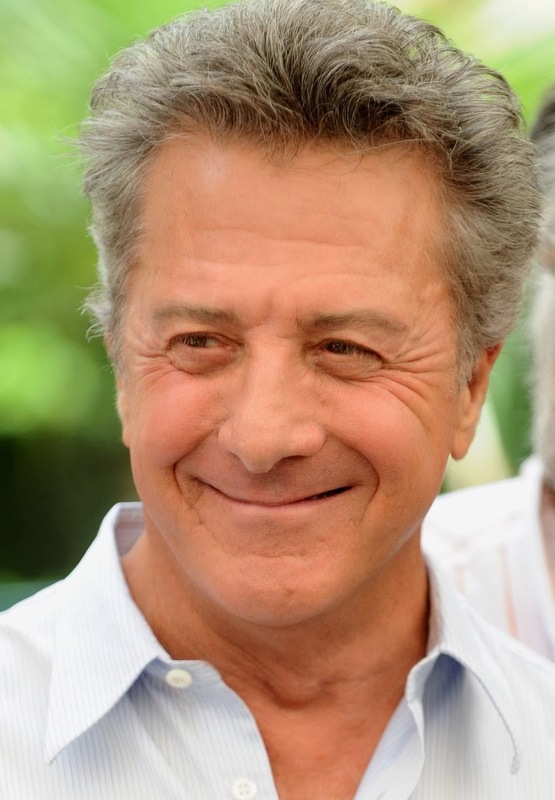 Dustin Hoffman, of course, went on to one of the most distinguished careers in modern motion pictures, but how do young people see him today? As Ben Stiller's Dad and granddad of Ben's brood in Meet the Fochers and Little Fochers. We of the Baby Boomer era should be happy when we see Dreyfuss, Winkler, Hoffman and others like Albert Brooks and Billy Crystal --- though now cinematic grandpappies all --- still active, sometimes starring, and for the most part going strong. Of course, hah, look at them! I look way better, don't you think? Ayyyy, of course you look way better, Perry! And you can leap tall buildings in a single bound...but I digress. I think we can count ourselves lucky that we are aging "gracefully" - meaning we're not famous enough to have dewy-eyed pics of ourselves from our youth blasted all over the internet to act as a mocking tribute of our current decay. hanks, Kathy. But, you know, I think maybe I could handle the deterioration a bit better if I were rich and famous. And could probably afford to hire a damn good plastic surgeon! Soooooo Perry, when did Matthew Brady do that glamour shot you are using on the blog? I can only hope you look better than the stars of our day, Perry. The only thing I have for comparison is this gravatar shot on the web which is obviously circa 1972. I did hear Scarlett Johannson say that you were the Abe Vigoda of Havertown--but she did it in a very sweet and respectful tone. I definitely look better than all the stars of our day who are dead, including Shari Lewis. Beyond that, all bets are off! Surround yourself with professional make-up artists and Photoshop masters, you'll look good as new! Good idea, but I think it would take the entire Westmore family of make-up artists to keep me looking halfway decent any more, and Cher has them all under contract. I already use a ten year old avatar on my blog and Twitter account, and my attorney is concerned about being sued for false advertising. But thanks for writing!